Nowadays parents have a hard time choosing the best baby toothpaste for their kid. Natural toothpaste brands hit the market and are slowly eating the big cake of the toothpaste market. The reason for this trend are studies that show that some of the ingredients in the toothpaste are not healthy if swallowed. And how can you be sure you will not swallow? Or how can you be sure that you have to rinse your mouth completely and that there is no harmful ingredient lost in your mouth? These are the reasons why people choose to switch to natural toothpaste brands. But for babies, things are even more escalated. Sometimes you see kids eating toothpaste because it tastes good. Because of that you better have no fluoride and safe from other harmful ingredients toothpaste for your baby. Many people ask them what the best baby toothpaste is? The answer is not that simple because in my opinion there is no toothpaste that you can eat. But if swallowed accidentally then in my opinion best toothpaste for babies would be the one that does not contain fluoride and sodium lauryl sulfate. These two ingredients are the worst you can find in the toothpaste, especially for the babies. The only reason why fluoride is in toothpaste is for remineralization and prevention of demineralization. But I would never use fluoride if not needed. That why it is important to check with your dentist if you really need fluoride in toothpaste. Diet makes a big role in choosing the best toothpaste for babies or yourself. If your child is on a natural diet and does not eat sugars nor refined stuff you will probably be okay with just brushing your teeth with water. But I still suggest using some toothpaste, just to kill harmful bacteria in the mouth here and there. But if you eat sugars, refined stuff like cakes, cookies and drink soda packed with lots of sugar then I am afraid you will need to see your dentist, and he will prescribe you probably fluoride treatment or something else to prevent all that bacteria in the mouth from eating your teeth. Branam is a well know company that has various products for babies and is well known for their toothpaste for babies. Branam Oral Health Toothpaste is free from Fluoride and claims to be all natural toothpaste. Also, the company says that this toothpaste is safe to swallow. But still, I would not recommend your toddler to eat it or even swallow high amounts of it. It contains xylitol, and large quantities of xylitol could lead to diarrhea. And if you just read ingredients on the back of the tube you will see titanium dioxide and potassium sorbate, do you really want your kid to swallow these ingredients? From Tom’s of Maine comes interesting toothpaste for babies. It is free from fluoride, SLS or propylene glycol. There is no artificial colors, flavors, preservatives or fragrances in Tom’s of Maine toothpaste. But still, I would not let my kid eat this toothpaste. It is not a big problem if it swallows because this toothpaste is really clean of all harmful ingredients. Tube design of Natural training toothpaste is babies friendly, and there will be no mess because of no mess dispensing nozzle. Earth’s Best Toddler Toothpaste is another good formula for babies. 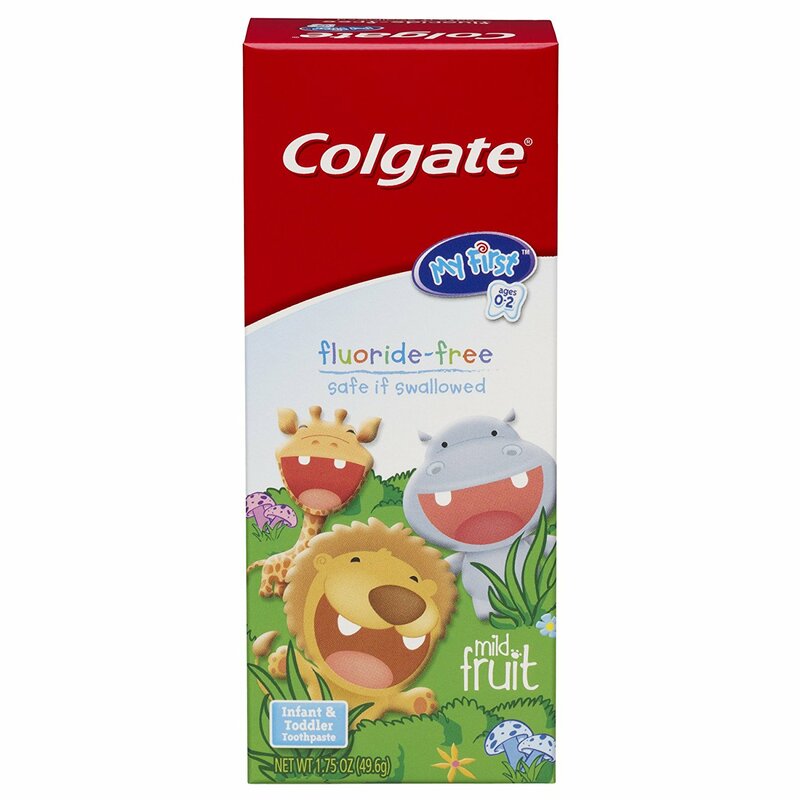 Earth’s Best Toddler Toothpaste is also based on xylitol. But it also contains some unique ingredients: beta-glucan and Avena saliva bran. Ingredients are certified as organic. So this toothpaste is also an organic toothpaste. Calcium lactate may concern you if you are raising a vegan baby, but calcium lactate is not a dairy product. It’d be good to know how they derived flavors and if the flavors are 100% natural. Maybe if they read this review, they send us an email so we can update the page. Jack N’ Jill comes with no nasty ingredients. It is free from sugars, color, SLS, preservatives, and fluoride. Toothpaste is free from GMO and palm oil derivatives, and all flavors are certified as natural organic flavors. 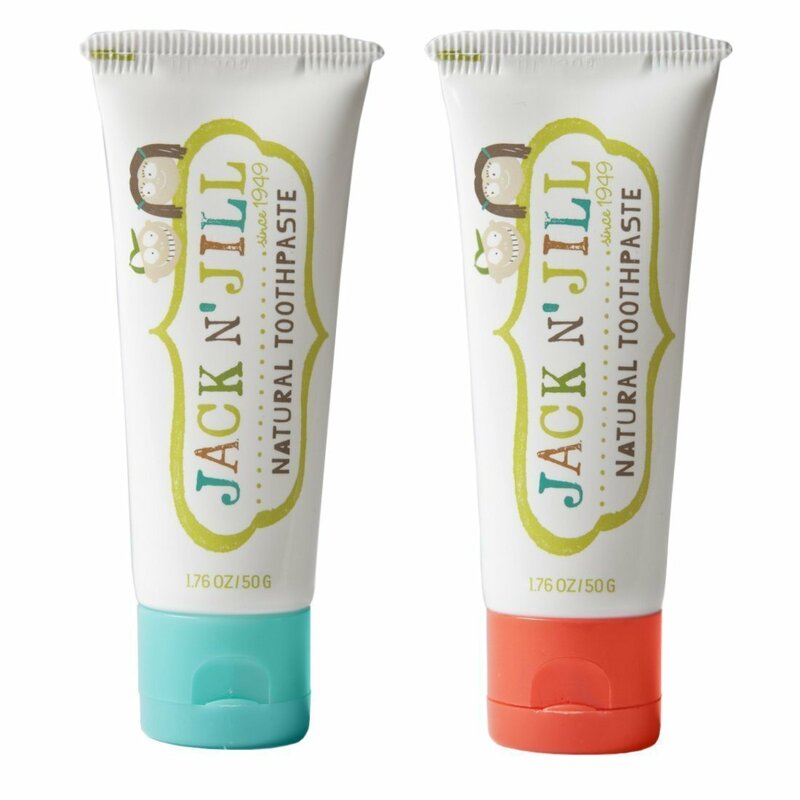 If you choose Jack N’ Jill Natural Toothpaste, you can be safe and not sorry, because this toothpaste is really free of all the major harmful ingredients and all flavors are organic which makes this toothpaste a perfect organic toothpaste for babies. Yes, this day has come, I will write a review of the most popular toothpaste company in the world. Colgate is a well-known company by their standard conventional toothpaste. But this type of Colgate labeled My First is fluoride free and is made for babies. This toothpaste is free from fluoride, preservatives, sodium lauryl sulfate and colors, not like their standard toothpaste. This formula is probably good for adults as well. Colgate loves fluoride toothpaste since the majority of their toothpaste contains fluoride and SLS and other questionable ingredients. Because of that, they may put a quote on the toothpaste that says to switch to fluoride toothpaste after the age of 2. If you have concerns if your kid needs fluoride toothpaste you should talk to your dentist and let him decide what your child need. Orajel made an incredible tube that every kid will love. And the taste of the toothpaste is also made for kids with delicious tasty flavors. If your child loves this toothpaste, then it will be hard to make him switch to other toothpaste. But if you are buying a new brand I suggest to look elsewhere. The only reason for choosing other brand is propylparaben, that is a controversial ingredient, and it is best to be on the safe side. I didn’t yet cover paraben on the website because paraben is rarely found in natural toothpaste. And that only means that this toothpaste is probably not certified natural toothpaste. New brand on the market with a pretty good formula. 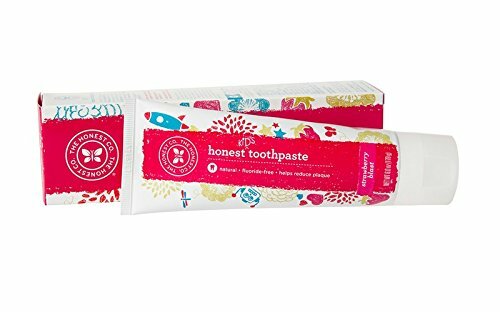 Honest Toothpaste is free from all major controversial ingredients. It is free from artificial colors and flavors. And it also contains special organic ingredients that just give the boost to your teeth health. Ingredients like ginger root extract are something that makes a difference in this toothpaste. But I need to say that I am not too happy that this toothpaste contains carrageenan and sodium lauroyl sarcosinate. We already write about carrageenan problem and sodium lauroyl sarcosinate is not sulfate, but still, there are major question marks if this ingredient is safe or just as bad as sodium lauryl sulfate. We already reviewed several other Weleda toothpaste products, and we love Weleda. But this toothpaste formula is one of the best for your baby. Ingredients in Weleda Children’s Gel are different than on other baby toothpaste products. Weleda uses unique formula free from all kind of controversial or questionable elements. There is no fluoride, SLS, artificial flavors, colors, preservatives or anything that is not natural. Key ingredients are extracts that are organically certified. Flavors are also organic. 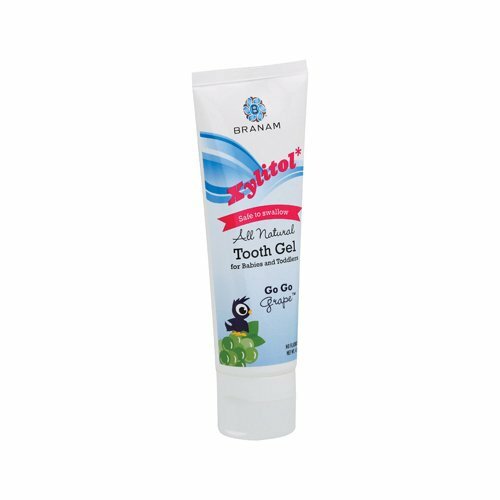 Weleda Children’s Gel is the best natural organic toothpaste for your babies. 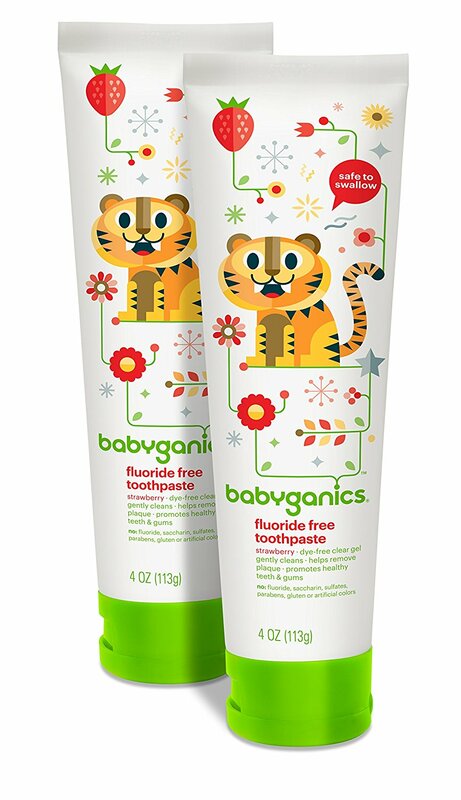 Babyganics is our last toothpaste review for the best baby toothpaste. But it is only last on the list. This toothpaste is made with a clean, safe formula. There are no controversial ingredients. Toothpaste is free from Fluoride, SLS, parabens, artificial flavors, and colors. Ingredients are based on plants and were never tested on animals. Babyganics says it is safe to swallow and I agree, but just to stay on the safe side, I suggest you supervise your kid at brushing and try to force him not to swallow or for god’s sake not eat it. I hope this list will help you choose the best product for your baby. Remember if your kid is on a good diet he can keep on brushing with toothpaste for babies even when he gets older. These kinds of toothpaste can also be used by healthy adults that don’t have problems with teeth. There is only one problematic toothpaste on the list, I marked it with red, if you can, I suggest to skip that toothpaste because it contains paraben and even birds on the wire know that paraben is questionable (if not dangerous). If you are looking to buy some other toothpaste that is not on the list, if you have read this article then you at least have some basic knowledge what to look for and what you should avoid.